System Integration projects have a history of going over budget and over time. These pesky challenges get in the way of innovation and make it harder for you to keep up with the advancement of new technology. We have leveraged the latest modern architectures to ensure that your system integration costs are exponentially lower than what you are used to. With ConnectedWorker™ you can pilot innovative new solutions in weeks instead of months. This ensures you start seeing returns as fast as possible, and all without having to worry about scalability costs getting away from you later. We decided from the beginning that we wanted our software to be the easiest to use in the industry. We work directly with boots on the ground to ensure that the tools we build do the job just right. Rather than reinventing everything, we lean on the most common design framework in use today: Google's Material Design. This way our products feel familiar the first time you use them. Transitioning to software that is intuitive makes change management easier, and workers adopting more effective tools faster means you see a larger ROI sooner. A core part of Vandrico's product philosophy is that the data in our software belongs to the customer. That is why we make all our products compatible with the most common open-standard APIs so that they can be integrated with any other product, including our competitors. We promise that you will always have full-control over your data for integration with whatever new technology the future brings. ConnectedWorker™ runs on servers locally within your operation much like a website on the internet. Anyone on your network with the right permissions can access their tools just by using a regular web browser. All access is managed using standard enterprise-grade authentication protocols and can integrate with your existing LDAP. All transmissions are end-to-end encrypted, and the system supports ISA-99 enterprise control system security requirements. 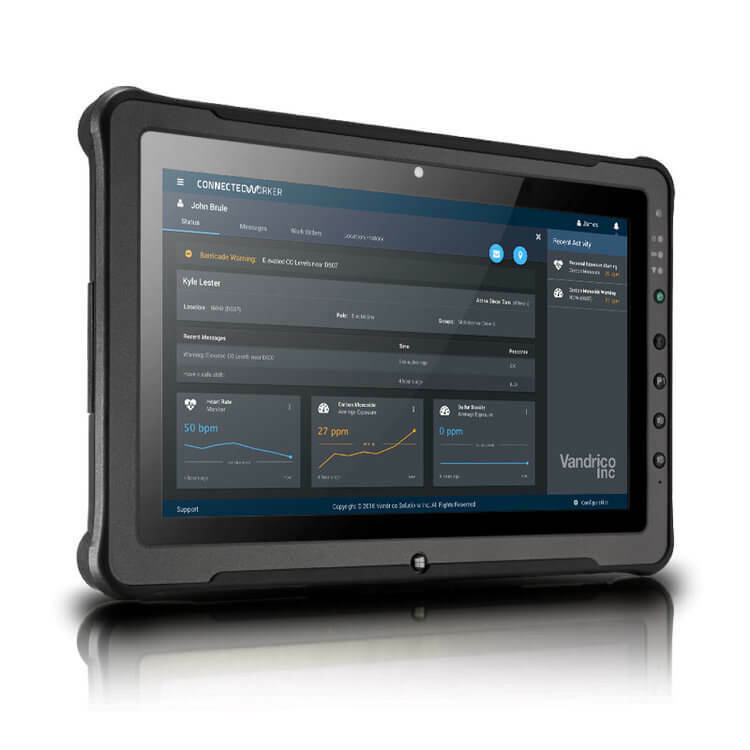 With ConnectedWorker™ you can see the state of any asset in your operation right now, or at any point in the past. Easily rewind time to a few hours ago, yesterday, or last month. People and asset locations, vehicle telemetry, environmental sensors, communication logs, video feeds and more, can all be rewound or viewed in real time. All historical data can also be exported for further analysis or integrated with other products. ConnectedWorker.IO unlocks your data with simple integration, a powerful scripting engine, and intelligent data pipelines accessible right from the user interface.